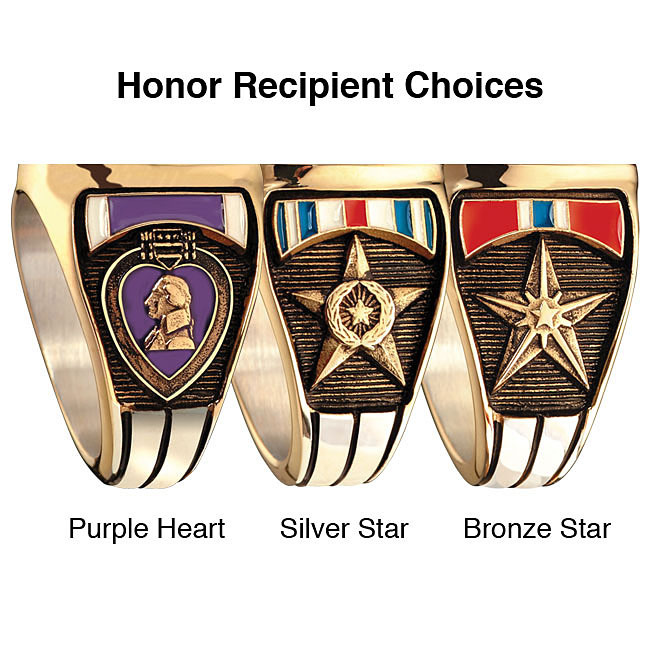 We are proud to honor Vietnam War Veterans and Honor Recipients (Purple Heart, Bronze and Silver Star) with a highly personalized, powerful Service Ring. The top of your ring features a highly detailed Military Service Emblem, cast and mounted within a gleaming black enamel background. 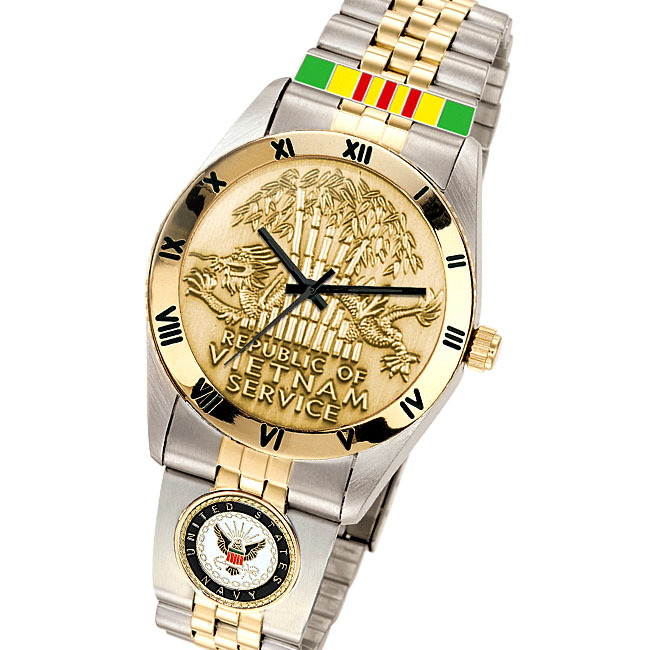 Surrounding your Service Emblem are the powerful words “VIETNAM VETERAN” in boldly cut letters also set against black hand-enameling. The effect is stunning! 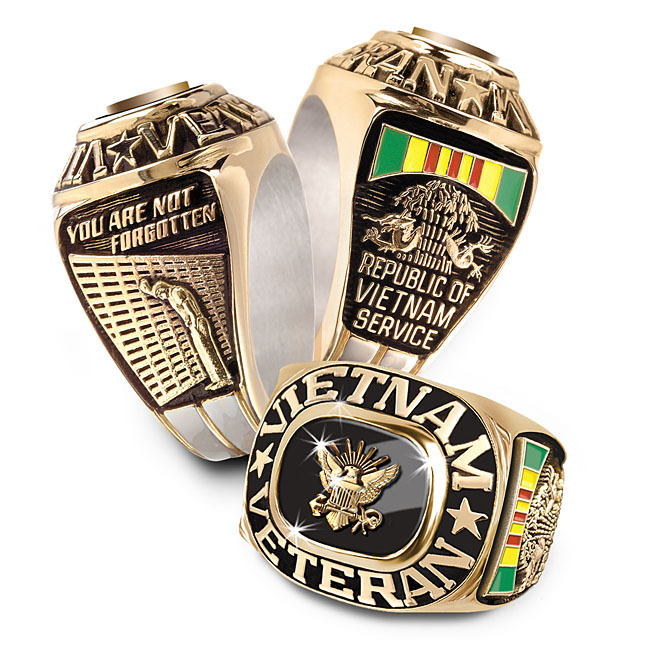 The sides of the ring are sculptures of the Vietnam War Medal & Ribbon in official colors and the Vietnam Wall Memorial with the words “YOU ARE NOT FORGOTTEN. As a permanent mark of exclusivity your ring will be engraved with your initials and years of service on the smooth inner band. Our rings are never hollowed out. "Thank you" priced at a remarkably low $249*. An affordable payment plan is available by calling 1-800-255-3048. Your satisfaction is guaranteed 100% or return your ring within 30 days for replacement or refund - no questions asked. So, order yours today! Honor Recipients may have their Medal & Ribbon opposite the War Medal & Ribbon.